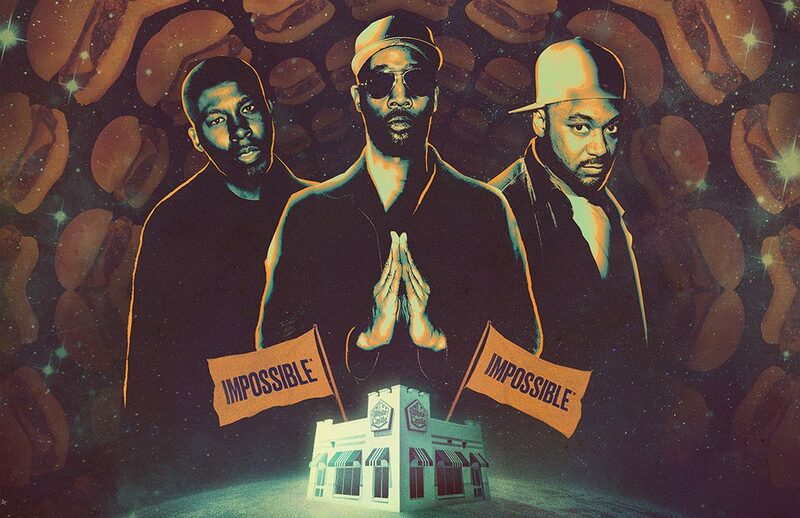 Back in April, White Castle unveiled its vegan option Impossible Burger with a performance by Ghostface Killah at its Bushwick location. Sounds incredible, right? The hype reignited this month with the release of RZA’s Instagram promotion prompting viewers to call 1-833-4-SLIDER to “get answers.” It may be the single greatest piece of marketing that we’ve seen this year. GZA and Ghost were also in Detroit on September 12, where GZA gave an impassioned speech to the crowd at a White Castle Impossible Burger promotional event. Last week, White Castle announced that its Impossible Burger slider will be available at all 377 locations nationwide. And the full roll-out of the Wu-Tang promotion happens on October 1. UPDATE 11.17.18: The fourth and final episode of Wu-Tang in Space Eating Impossible Burgers dropped a few days ago. In this installment, Ghost and Gza answer more burning questions before returning to Earth. Check it out below. And for more Wu-Tang knowledge, see GZA’s appearance on Pitchfork’s Over/Under, which also dropped this week. UPDATE 10.31.18: The Wu-Tang saga continues in Episode 3. Tune in below. UPDATE 10.20.18: Episode 2 dropped this week, and it doesn’t disappoint. Check it out below. UPDATE 10.5.18: The first episode of the Spike Jonze-directed Wu-Tang Impossible Sliders promo videos has been released. And it is as incredible as we anticipated it to be! Check it out below.